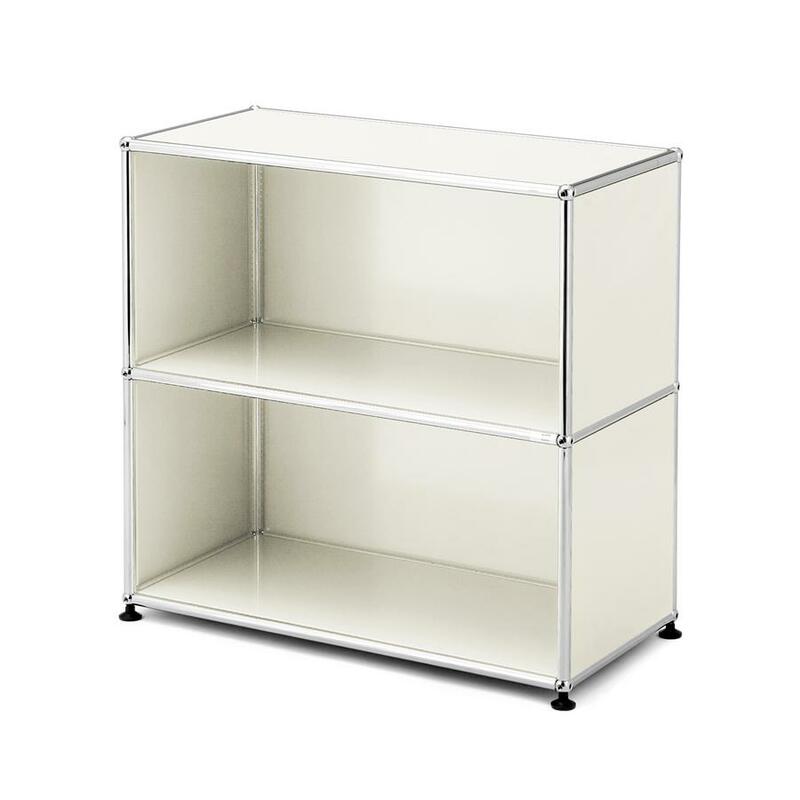 Can I build and rebuild USM furniture myself? The USM furniture system is a modular system which can be rebuilt and reconfigured at any time. 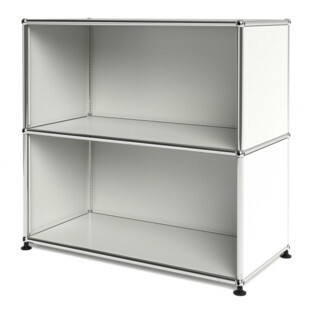 The USM Haller furniture system also consists of over 2,000 items. Because of this complexity, it is important that any major assembly, de-assembly or reconfiguration work is carried out by to get carry out by specially trained technicians. Not least, because such guarantees the value and longevity of the products. Incorrect installation risks damaging the units, damage which can then mean even far greater effort and cost to repair. 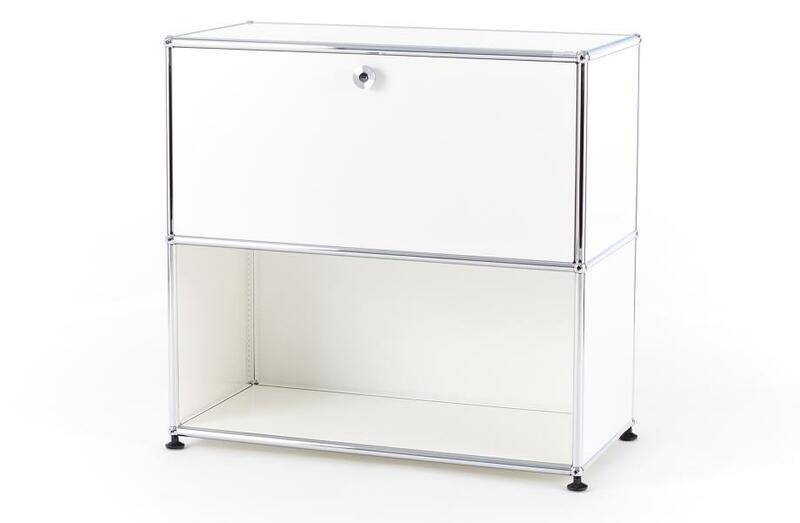 Can I transform my USM sideboard into a USM highboard? In principle yes, as before though only with the assistance of trained technicians. 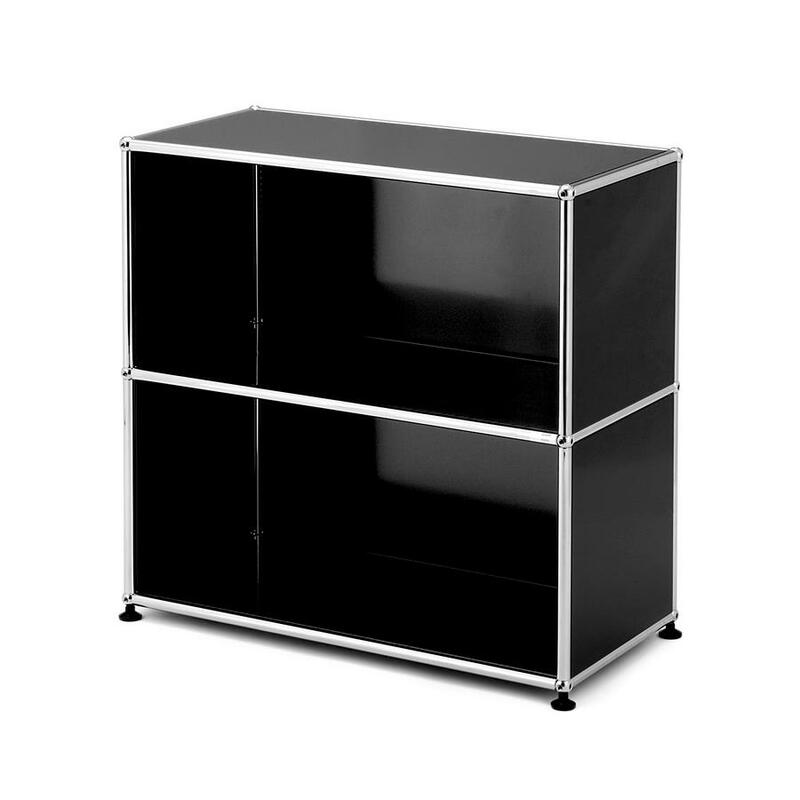 If the USM sideboard also available in the 500 mm depth? Yes, this is of course possible. Please contact our USM Service Team for a quote, or alternatively make use of our USM Haller configurator to design your own. 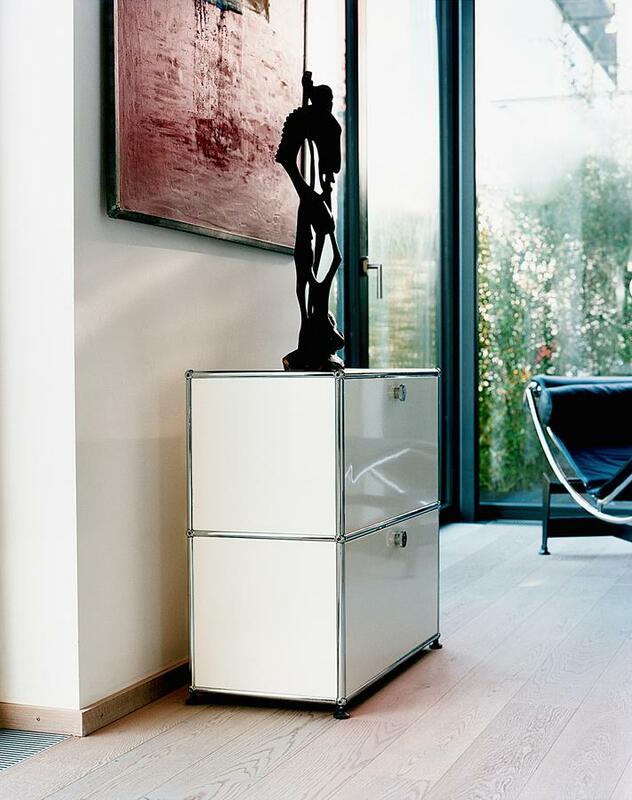 As with all other USM shelves the design of the USM sideboard is based on a very simple principle: chrome plated steel tubes connected via chrome plated brass balls form a skeleton which is then filled with metal shelves or glass elements. And it is this simplicity that makes USM such a competent all-rounder. 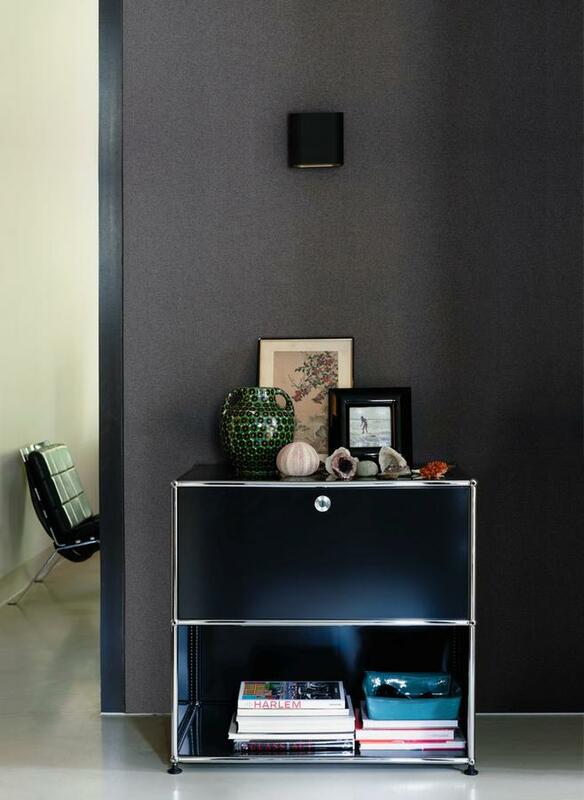 The modular USM Haller design can take various forms and, true to the motto "form follows function", offers tailored solutions for any situation. The USM philosophy also includes the assumption that furniture is not a fixed state but a continual process. 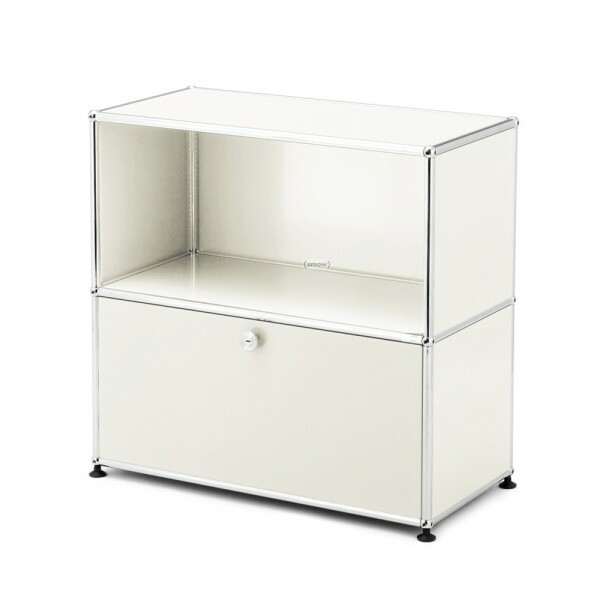 Consequently USM furniture is especially suitable for regular conversion. 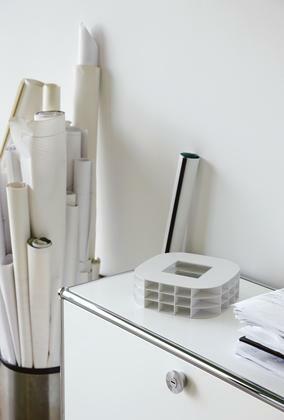 The designer Fritz Haller was an architect and developed office furniture system as part of a commission for the USM office pavilion in Münsingen, Switzerland. 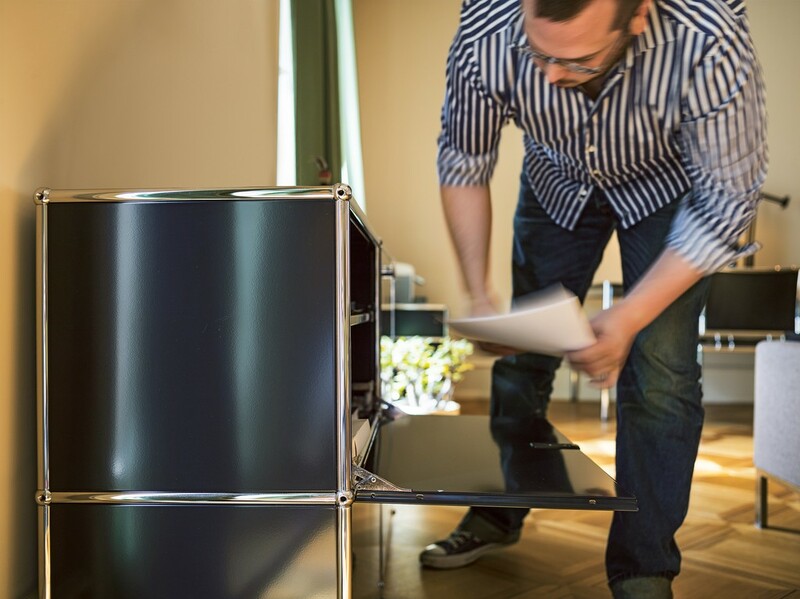 Since 1969 the USM Haller furniture has been produced in series and is not only a recognised office furniture design classic, but also a much loved classic in context of domestic furniture. The USM Sideboard M with drop-down doors and/or extension doors can be configured to exactly suit your needs, the possibilities being as varied as the USM colour spectrum. Born on October 23, 1924 in Solothurn, Switzerland Fritz Haller trained as a carpenter before moving on to follow in his father architectural footsteps. His cooperation with USM Haller began 1961 when company owner Paul Schärer commissioned him with the construction of new production and administration building. In 1963 Schärer requested a furniture system for the new for the USM office pavilion: the modular system he developed having since moved on from being a classic example of office equipment to be a classic example of office equipment and living area design classic. 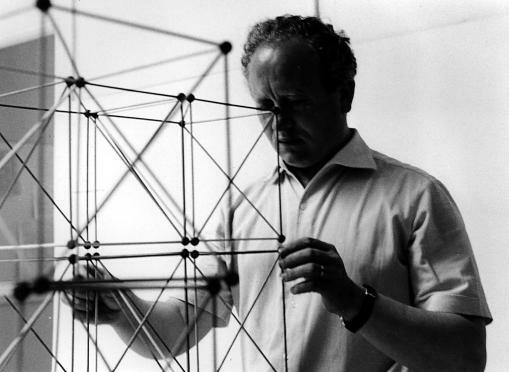 From the 1970s, Fritz Haller taught architecture at the University's of Karlsruhe and Stuttgart. On October 15, 2012 Fritz Haller died in Solothurn. 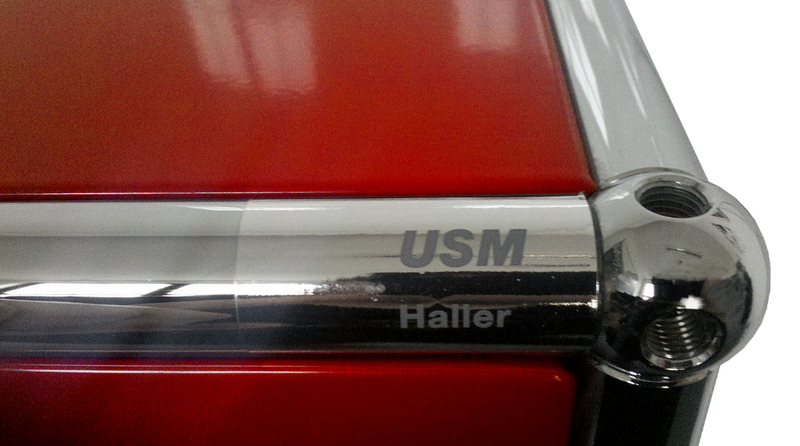 The production of USM Haller begins in Switzerland. There, where the furniture system also originated, all parts are produced and the metal shelves powder coated in the famous 14 USM colours. The assembly of USM furniture intended for the for German market takes place in Buhl, Baden-Württemberg, where the company has a manufacture and distribution centre. For a company such as USM ecological responsibility is reflected in many ways. 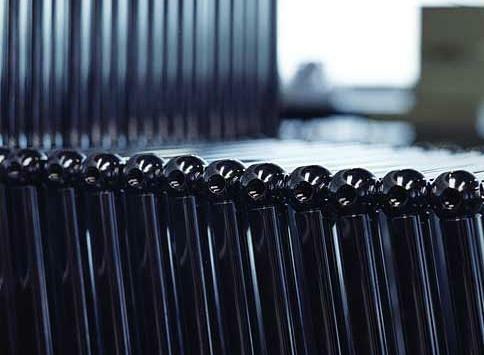 For example, all manufacturing processes are designed to be environmentally justifiable, while the placing of the production and distribution sites reduces transport based CO2 emissions. 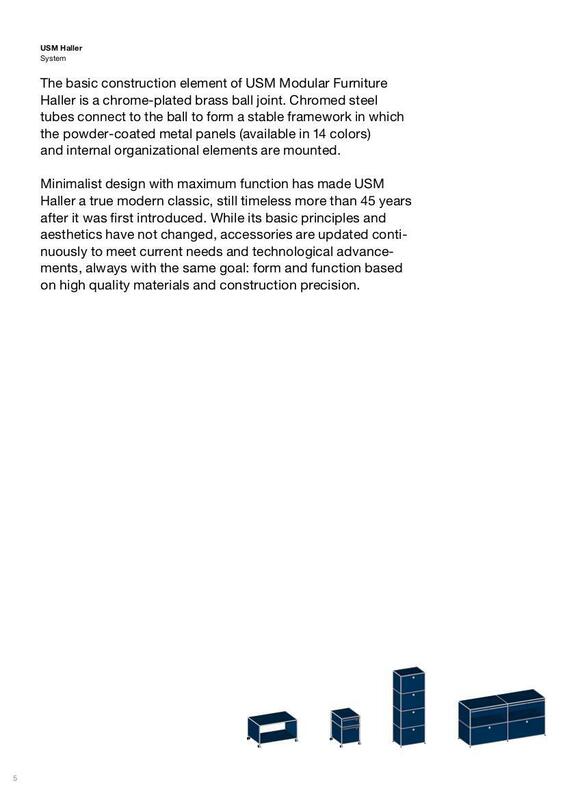 Then there is the products very long product cycle, along life cycle USM Haller products owe to the high quality materials employed and the inherent flexibility of the modular system. In addition, the system has been awarded the Greenguard Indoor Air Quality Certificate, a certificate that confirms the products low emissions and thus a healthier indoor environments. 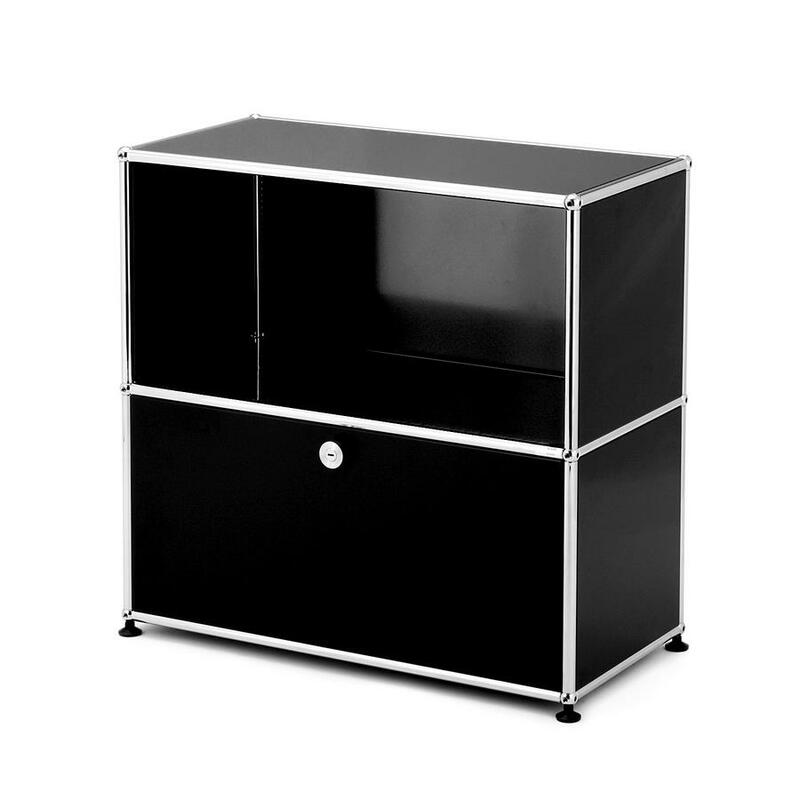 The emergence of the USM sideboards in the 1960s places the furniture system, historically, in functionalism. Functionalists rejected mere aesthetics and unnecessary ornamentation; in their place they incorporated new technologies, scientific research and ideas of usefulness in the work. Form follows function was the cry: Furniture should be functional and its shape defined by the function. USM Haller furniture, which can be individually adapted according to the required function, represents this philosophy perfectly. In context with the economic boom of the postwar years, mass production became an increasingly important criterion in furniture design. USM Haller achieves this thanks to the reduction of the system to a relatively few number of components which can be easily combined. 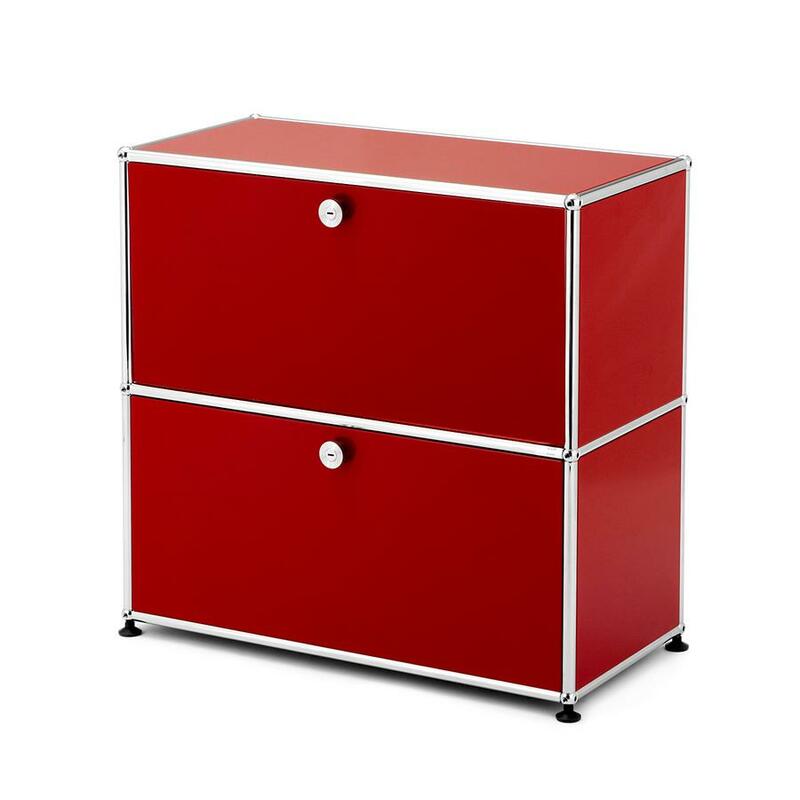 The USM modular furniture system is produced by a company who can race their roots back to the establishing an ironmonger and locksmith in Münsingen near Bern by one Ulrich Schärer in 1885. After adding the production of window fitting and general sheet metal processing the company bean in 1963 with the manufacturing of furniture for their new office pavilion. 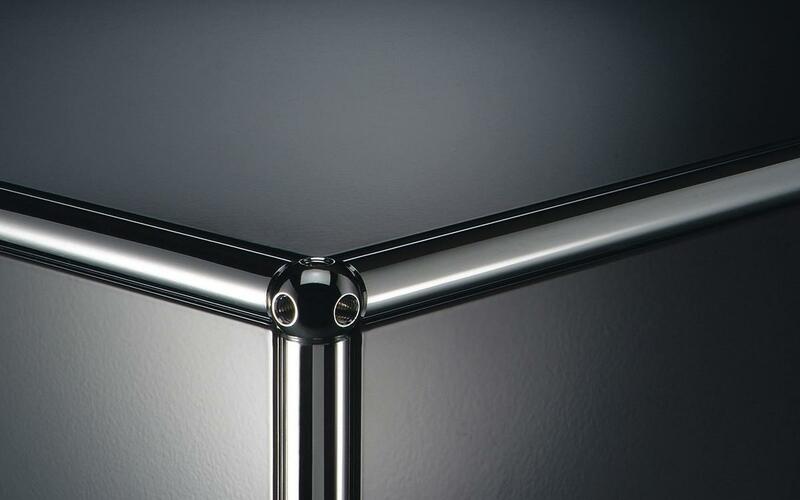 Designed by the local architect Fritz Haller the furniture system made of steel entered mass production, and sale, in 1969. In 1988 USM was designated as a work of applied art thereby protecting the furniture designs by copyright. 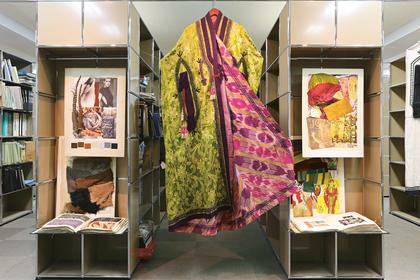 The system received further recognition in 2001 when his the USM Haller modular system was included in the permanent collection of the Museum of Modern Art in New York.